Viewed by most people as a rite of passage for children, braces are a common orthodontic procedure that helps to straighten a child’s teeth. For decades, braces have been an effective method for correcting alignment issues and crooked teeth to create a healthy smile. Straightening teeth will also help to create an aligned appearance. While there may be some resistance about getting them, braces for kids are an incredibly effective and lucrative method for straightening teeth at a young age. With the advancements in technology, braces are smaller and more efficient than in the past. With braces, children will be able to grow up with healthy straight teeth and decrease the chance of needing orthodontic treatment as an adult. If your child has crooked teeth or has never been to an orthodontist, schedule an appointment with us today. 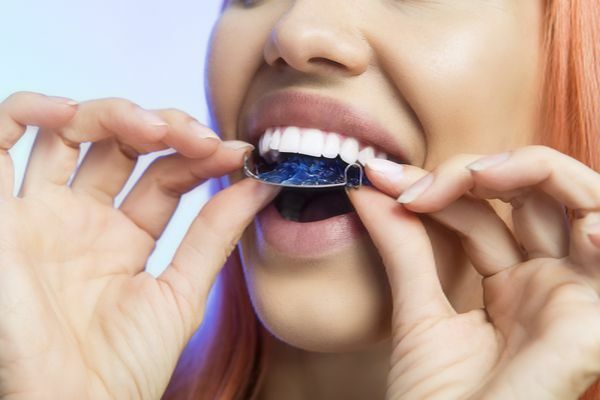 Traditional braces involve placing metal brackets on the visible surface of the tooth, connecting them with a metal wire. We will gradually tighten the wire to pull the teeth into alignment for a uniform smile. Since the process takes time, it will not be noticeable overnight. Along with that, the straightening process will not hurt as much as people fear. There are multiple reasons why a child needs braces. These can include anything from an overcrowded mouth with too many teeth pushing them out of alignment to children losing baby teeth prematurely. When a child needs braces, it is crucial to seek treatment as early as possible. In most cases, a child should visit the orthodontist around the age of seven. However, some children do not visit an orthodontist until they are around 10-years-old. This does not mean there will immediately be more issues to treat in children who wait longer. Rather, there is an increased risk of undetected issues in the alignment of a child’s teeth with those who wait. The earlier we detect any orthodontic issues in a child’s mouth, the sooner we can begin treatment to prevent the condition from getting worse. By offering braces for kids, we can treat oral health issues and ensure the child receives the proper care for a future of healthy teeth. This is why it is important for the parent to listen when a professional recommends visiting an orthodontist or when a child exhibits certain signs. Here are several signs that a child may need braces or another orthodontic treatment. While some people may believe baby teeth are not that significant to one’s future oral health, baby teeth are crucial to development. Baby teeth that fall out too early can leave gaps that cause other teeth to close the gap and grow in crooked. If baby teeth fall out too late, they can cause pain or stunt the growth of other teeth. Thus, seeking orthodontic treatment for any irregular rate of baby teeth falling out is important for a child’s oral health. If the child’s mouth has too many teeth, then braces are a common way to correct this. Overcrowding is more of a common issue that some people may use tooth extractions to treat, removing the excess tooth. In other cases, we can use braces to shift the teeth into alignment and prevent the issue from occurring. 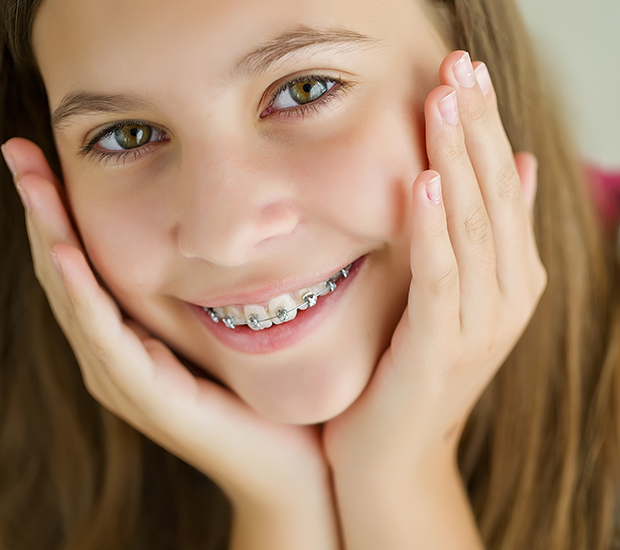 Braces for kids can ensure the adult teeth have enough room to grow in properly and remain in alignment. Not only will issues with a child’s bite be visible, but the child will also be able to feel the issue. However, since children tend to adjust to these issues, parents need to keep an eye on it. An overbite will have the upper teeth in the front protrude outward. While an underbite will have lower teeth protrude outward in the front. 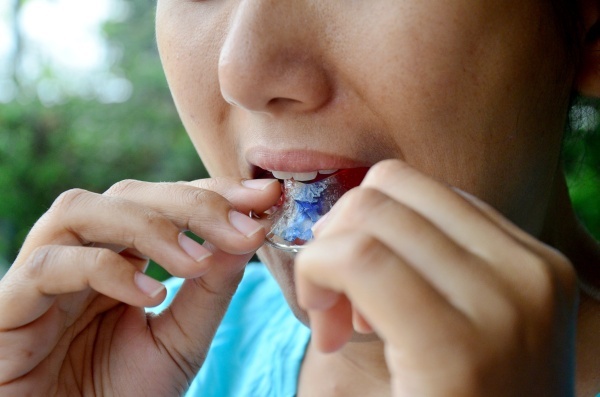 Bite issues can also cause issues with speech and make eating certain foods more difficult. With braces, we can help to correct the bite issues when the patient is young. Spacing issues cause gaps to form between teeth that can trap bits of food and plaque. The longer the plaque remains between the gap, the more likely an infection can form. With braces, we can help to close the gaps between teeth.